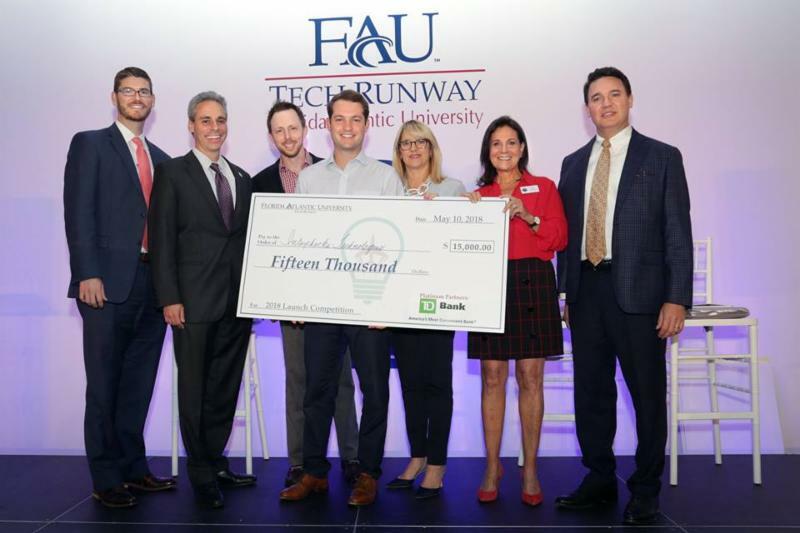 FAU Tech Runway Venture Class 6 companies are finding success in state-wide entrepreneurial competitions. SciKey Diagnostics has been selected as a finalist for Florida Blue Statewide Health Care Innovation Pitch Competition. SciKey Diagnostics is pursuing methods for predicting and diagnosing mental disorders. The competition will take place Oct. 10 at the GuideWell Innovation CoRE in Orlando's Lake Nona Medical City. Winners of the pitch competition will be awarded up to $10,000 in cash prizes. Interchecks Technologies (pictured left) is one of the 16 finalists of the Cade Prize. Interchecks Technologies is a payroll software that is designed for contract workers. The Cade Prize Sweet 16 reception will be held Sept. 6 at the Cade Museum for Creativity and Invention. To buy tickets, click here. 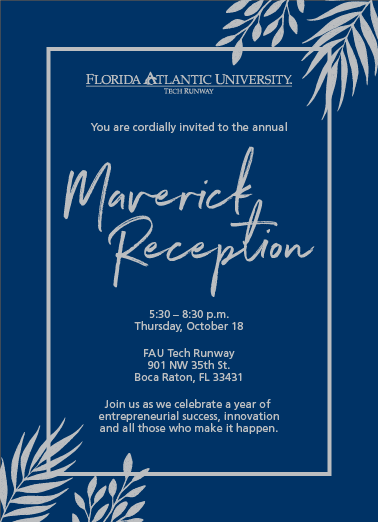 You are cordially invited to the annual Maverick Reception. The event will take place 5:30 – 8:30 p.m. Oct. 18 at FAU Tech Runway in Boca Raton. The keynote presentation will feature Ron Antevy, E-Builder President and CEO and Jon Antevy, Co-founder. For more information on sponsorship opportunities, email Heather Henderson. Kindly RSVP by Oct. 5.